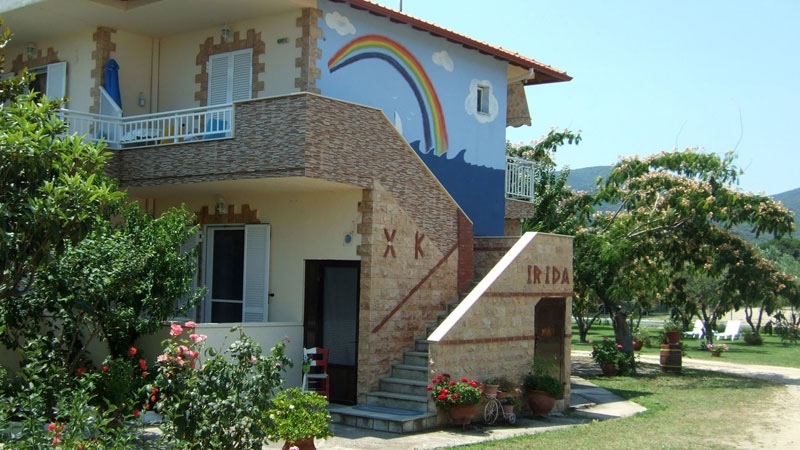 Villa Irida is located in a large garden on the edge of Sarti, Halkidiki. 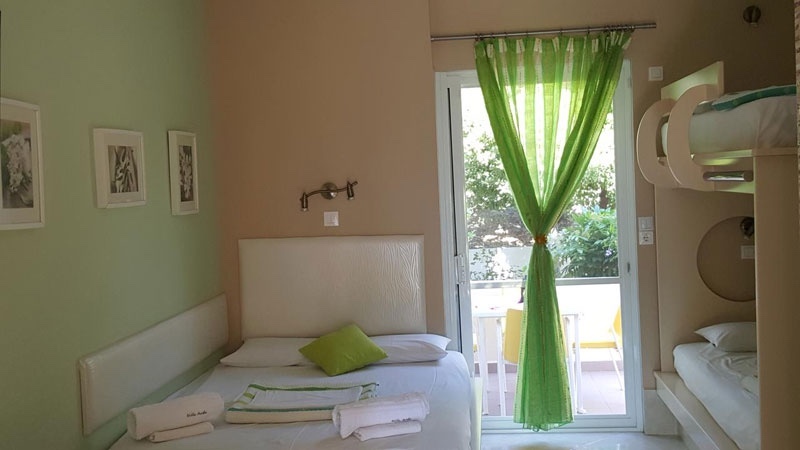 The apartments are a family run business that strives to ensure the guests have a comfortable and memorable stay. 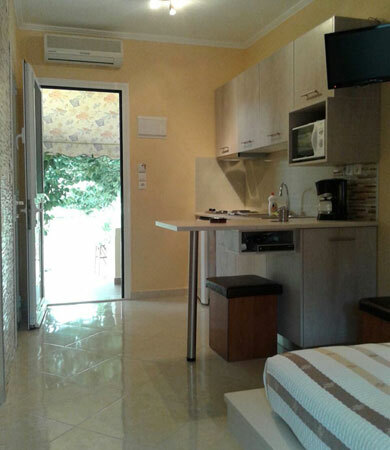 The large Sarti beach is just a 2 minute walk away. 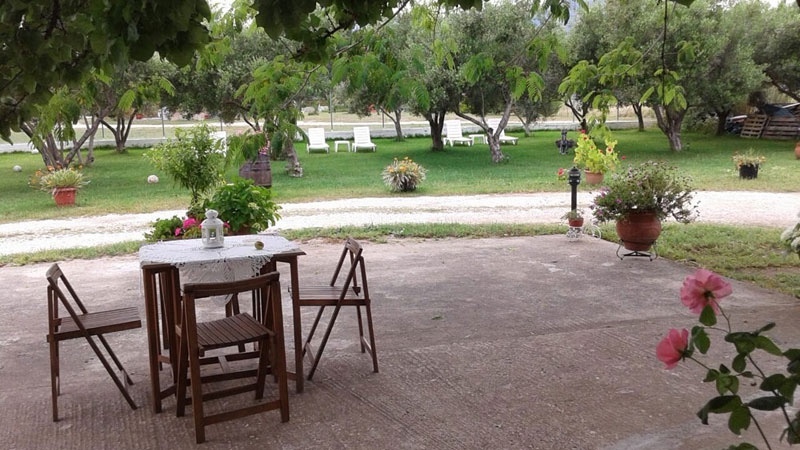 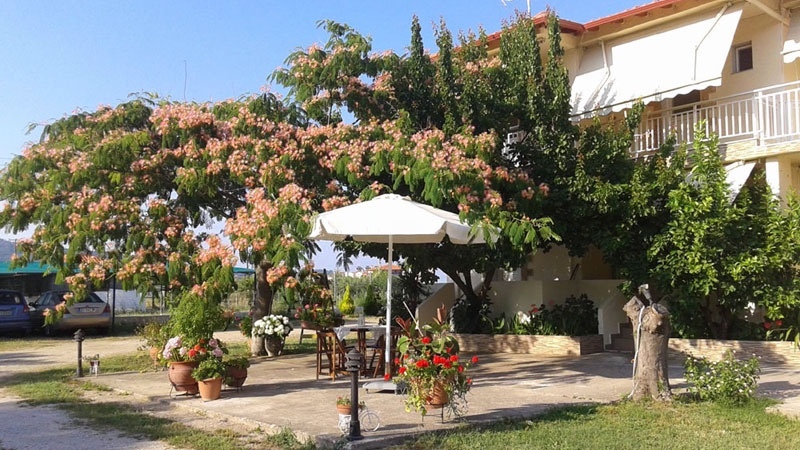 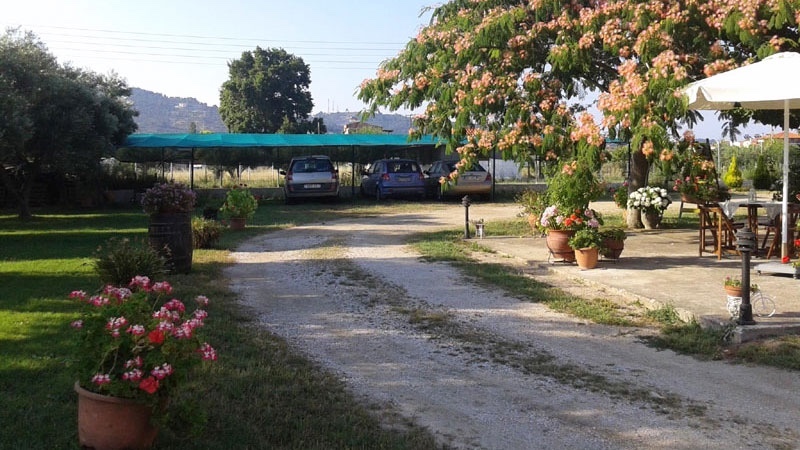 The villa is surrounded by a well kept garden with olive trees and flowers. 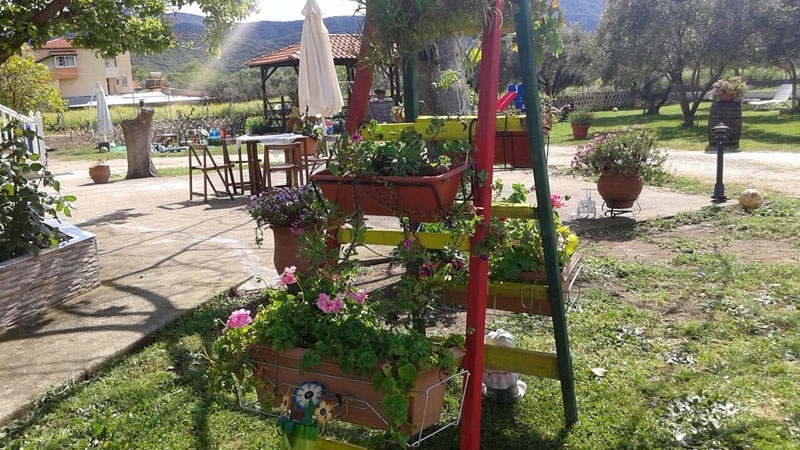 The playground is ideal for children to play safely. 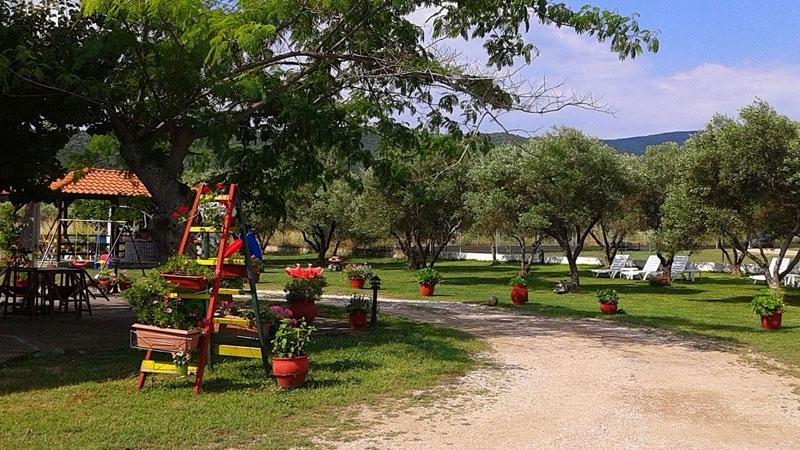 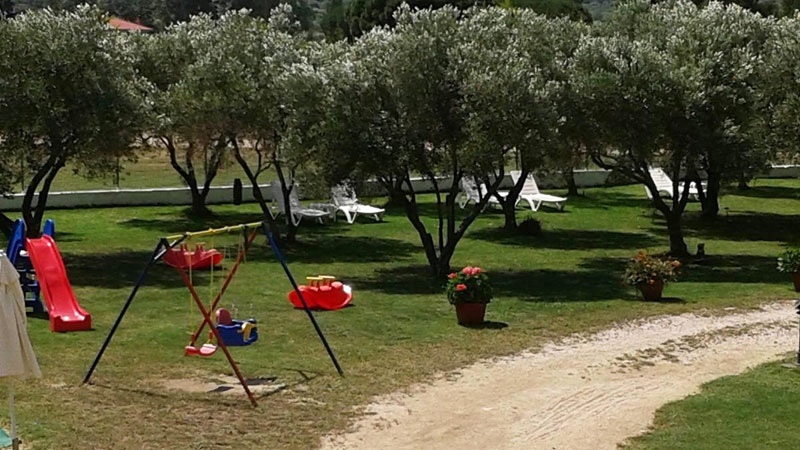 There are sunbeds under the shade of the olive trees to enjoy the peaceful surroundings. 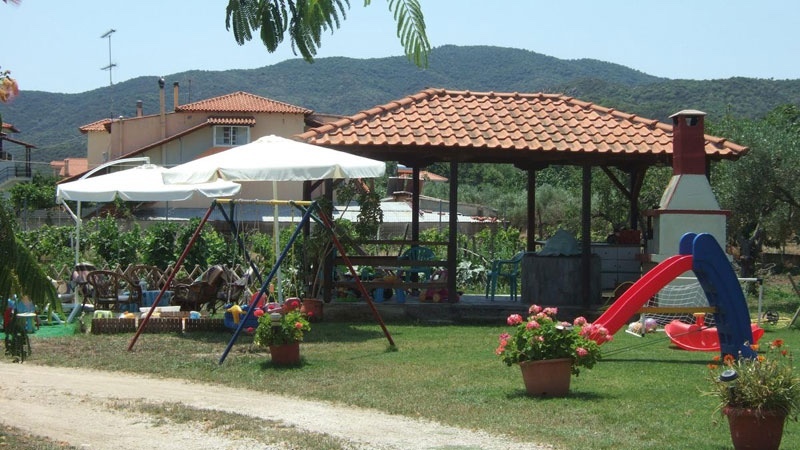 The barbecue area is in a gazebo where you can prepare your meals and there is plenty of shaded parking in the yard. 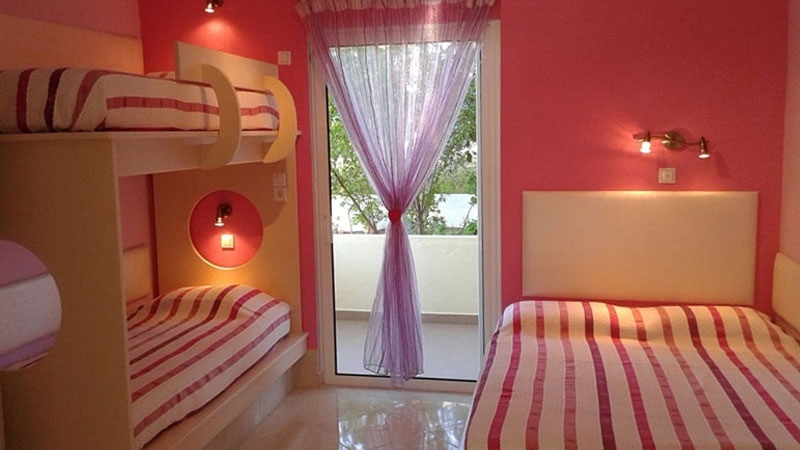 The six rooms are cheerfully decorated and accommodate up to 4 persons. 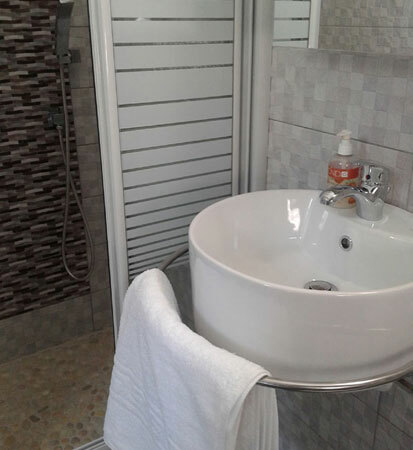 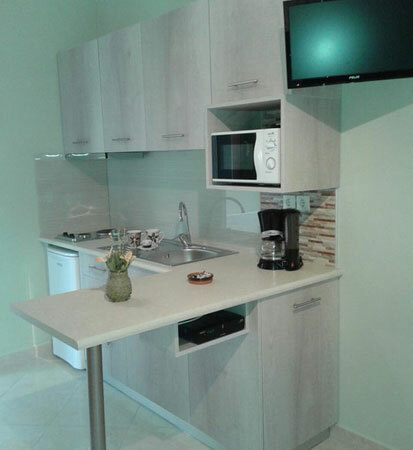 Each apartment offers a full kitchen (refrigerator, oven, stove, coffee maker, toaster, microwave oven), bathroom with shower, air conditioner, satellite television, WiFi internet and 2 balconies with a sea and mountain view. 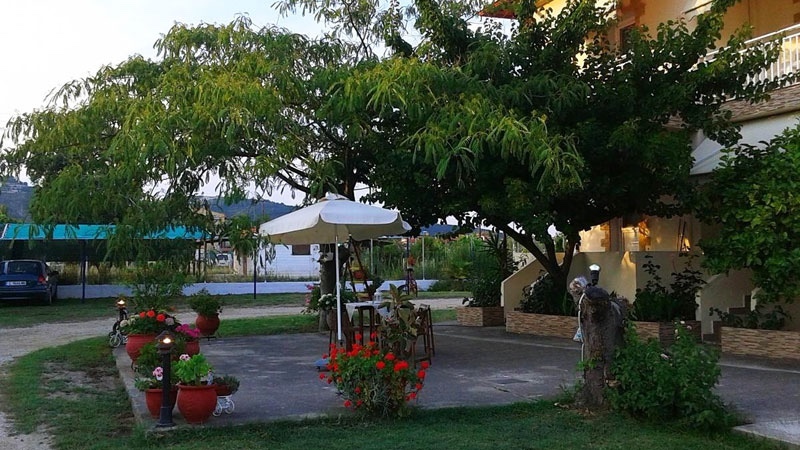 Just a short walk and you are on the main street in Sarti with its many shops, bakeries, supermarkets and restaurants. 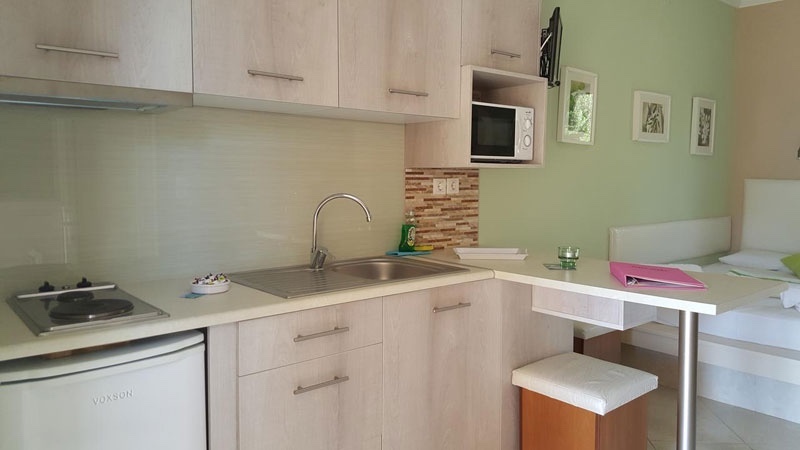 Clean affordable studios that are ideal for young families.